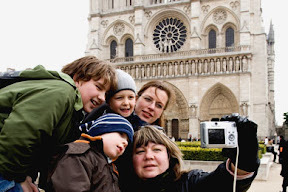 Just because you have kids doesn’t mean you have to stop traveling, and London is a favorite destination for families looking to travel to a foreign country for the first… or second or third time. But planning is not the same thing as research. Real planning means every member of the family is actively involved in the process, says Larry Lain, author of the wise and helpful book, London for Families. • Agree on how much money each child will have to spend. Lain also urges parents to let their children carry the currency. He believes it helps their math and personal skills to calculate costs and make change in foreign funds. “It builds real confidence,” he adds. • Parents should split up, go in different direction, each with a child. They can then share their experiences over lunch or dinner later in the day, which gives everyone a sense of having discovered something themselves. • Be flexible, and very importantly, don’t spend more than two hours on any one attraction. And do not see more than one kind of the same attraction in any given day, like a museum. They’ll all blur together. Families staying in London for more than a week are better off renting a flat and avoiding a hotel. We found it’s a money-saver, but the best part is shopping locally because you get to know the neighborhood, and local merchants and build memorable connections and authentic experiences.